If there is any way to make an income from home, it is becoming a successful freelancer. 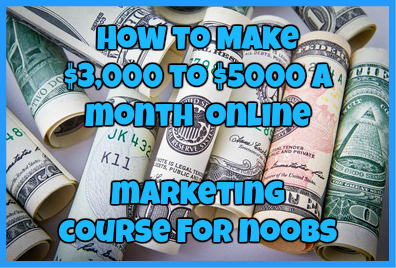 It is especially true if you already have a much-needed industry skill that you can utilize and start earning money from home as soon as today. What many people don’t realize it doesn’t take much to learn how to become a freelancer with NO experience. All you need is just a few things and you can get started instantly. If there is any way to make an income from home, it is by becoming a successful freelancer. It is especially true if you already have a much-needed industry skill that you can utilize. What many people don’t realize it doesn’t take much to learn how to become a freelancer with NO experience. All you need are just a few things and you can get started instantly. What is a Freelancer and Why Should You Become One? A freelancer in simple terms, is a person that offers their skills and services for a fee determined by the freelancer. A freelancer is self-employed and typically runs their own home based freelancing business where they can have multiple clients rather than work for one company alone. Why should you become a freelancer? Simple: by becoming a freelancer you have the opportunity to work for yourself, can create your own working hours and can work from the comfort of your own home. 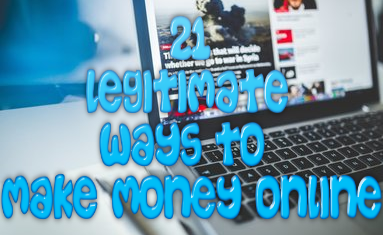 It can also be a great way to earn some extra money on the side, making it perfect if you want to work part-time or pick up a job to do after your normal working hours. As with most things in life, freelancing isn’t without its own ups and down, but in my honest opinion, the positives of freelancing definitely outweigh the negatives. What Do You Need in Order to Start as a Freelancer? Make sure to have a plan-set up a work email, a portfolio of your past work, contact information and an idea of the kind of services you wish to provide. Craigslist-most freelancers often find their very first freelancing work online. While it is not the ideal place to find work, as most clients tend to underpay on the site, you can still find plenty of easy online working opportunities on the site. Helpful tip: check out the gigs sections for even better freelancing opportunities. Freelancing websites-there are plenty of freelancing sites where you can build your freelancing business. However, some freelancing sites are better than others. The best sites to use are UpWork (used to be Elance and Odesk), Guru.com, Freelancer.com (there have been known scammers to use this site to scam freelancers by not paying them so be hesitant taking on new projects from clients with no reviews), People per Hour and Toptal. Just like with any job, once you become a freelancer, you are going to have to pay your taxes just like everybody else. As a freelancer you will need to fill out tax returns as you would if you owned your own business. Except, instead of filing under the business name and business tax ID number, you will have to file under your own name and with your own social security number. As a general rule, if you make over $600 both online, you need to fill out a standard 1099 to report the money you have earned. As someone who has been freelancing online for the past 5 years, I want to give you a few helpful tips that I hope will help you to succeed as a freelancer as I have succeeded. While these tips may seem like common sense, you would be surprised how many people tend to forget these when faced with a possible freelancing job. Nowadays there are too many freelancers that focus too heavily on creating and sustaining contracts with their various clients when in the end, all they end up doing is wasting time that should be spent completing projects and earning money. What you need is just a standard agreement between you and your client. The agreement should cover what the payment terms are between both parties, whether or not the client wants their information to stay private, whether you can retain rights to the work you do and an agreement that you produce work that is 100% original. This kind of agreement will help to protect you as you work and will also protect your client to ensure they are getting the work they initially hired you for. If there is one mistake that many freelancers tend to make is not building up their portfolio as they continue to build their freelance business. That is why it is extremely important to build up an organized portfolio that you can show off to your prospective clients. When you make a portfolio, you want to make sure that you show off the work you specialize in rather than show off random work that is all over the place. When you start your journey into becoming a successful freelancer, you need to make sure you treat it like a business. You need to know every number surrounding your business such as the revenue you need to make in order to pay your bills, average hire rate and when the down times are so you can compensate in slight loss of income. Also, always put aside a percentage of your earnings to cover your taxes, to reinvest in your freelance business and to put some money aside for your savings. Cover all of your bases and you will never have to worry. I hope that by the end of this long post, you are confident enough to start off as a freelancer. If not, it is ok. I’ve been there and I am always here to help you out. That is why later this month I am holding a free webinar to help those looking to find legit work from home opportunities by becoming a freelancer. Be sure to sign up for my email list to get alerts to when I launch the webinar so you don’t miss your seat. ClickDrop.com Review: Can One Click Give You Targeted Traffic?